Last Wednesday I had the unique pleasure of hitting the legendary Apollo stage! 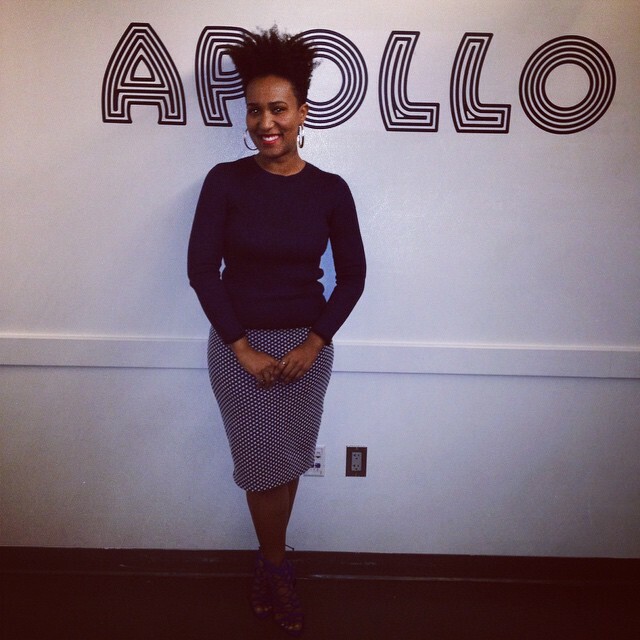 I competed in the famed Amateur Night @ the Apollo and I can say it was nothing less than an adventure. There were mostly singers in the competition as I expected, but what I didn't expect was how much fun it was to see how different everyone was and listen to them sing and dance their hearts out. I performed a rearranged version of Billie Jean by Michael Jackson, which I love! I've sung it many times and wanted to give the audience a new twist on a great song. The crowd had mixed feelings - some loved it and some didn't. The most fun part was that people felt something. They listened and there was a lot of love in the place. As I finished my song and took my bow I could not have been more proud. I did it! I sang my heart out for the famed Apollo crowd. My best friends and my partner were in the crowd and their love was everywhere. After the show, we stomped the city streets and got some beers at a dive bar. I woke up the next day to a Manhattan sunrise. Nothing like it - seriously. I couldn't help but feel like, "Yes, this is exactly what I came here for." Styled myself for the show. All pieces from Zara. Pre-show theater exploring! Geeked out. Posing pre-show. Feeling super excited and proud to hit the stage! Finally hit the stage and gave it my all! Band was amazing. Always feels good to sing on a big stage. Photo by Karlie Hustle.